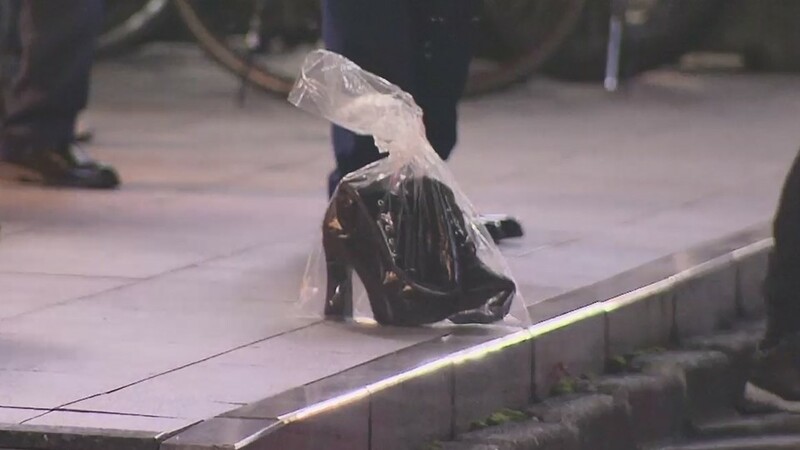 TOKYO (TR) – A pair of black high-heel shoes, wrapped in a bag, rested on a curb in the Kabukicho red-light district of Shinjuku Ward as investigators milled around on the night of October 2. The footwear belonged to a woman who leaped to her death from a nearby building. During the plunge, she struck a male pedestrian, the latest case of a bystander being injured by a person in the process taking their life in the capital over the past decade, reports Fuji News Network (Oct. 3). In 2006, a 55-year-old woman leaped to her death from a building at University of Electro-Communications in Fuchu City. Before striking the ground, she hit a 20-year-old female student, causing her severe head injuries. The following year, a man riding a motorbike in Shinjuku Ward suffered bone fractures in his chest after being struck by a man, then 48, who leaped to his death from a multi-tenant building. The year after that, a woman on riding a bicycle in Tachikawa City suffered a broken foot after a man, then 53, collided with her during a fatal plunge from an apartment building. There is one known case in which the victim died. In 2007, a 25-year-old woman making a fatal leap from a building fronting JR Ikebukuro Station in Toshima Ward struck a man walking on the street below. In recognizing that the woman had to know that the road beneath the building was being used by a large number of pedestrians, police later sent papers on the deceased woman to prosecutors on suspicion of involuntary manslaughter. In the Kabukicho case from earlier this month, officers arriving at the scene found the man with injuries to his head and other areas of his body that are not considered life-threatening. Meanwhile, the woman, whose age was not known at the time, was found in an unconscious state. She was later confirmed dead. Police subsequently discovered her shoes and bag on the landing of a stairwell on the eighth floor of the building.